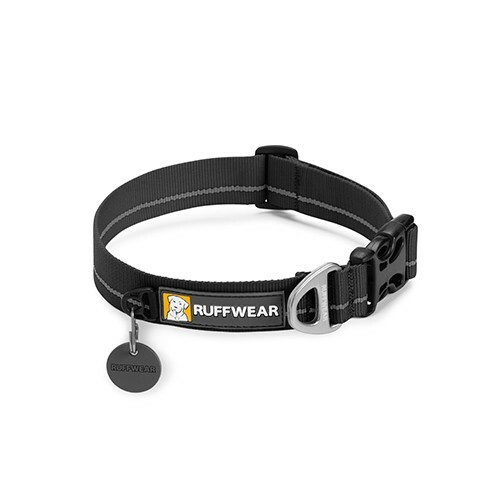 Supurb quality dog collar from Ruffwear. Tubular webbijng and a one piece anodised aluminium V-ring for attaching the lead. Also features a side release buckle and separate ID attachment ring. Ruffwear large dog collar: 25mm width, fits neck size: 51-66cm (20-26 inch).